As a boy, seeing your dad or older brother shave always gave you the desire to get into the act of shaving. Well, gone are the days when you had to work out a lather, fix the razor and then start shaving. Of course, you have to be very careful about those nicks and cuts. The men’s grooming tools have also undergone path breaking changes and the shaving kit has also transformed into an electric gadget. Electric shavers reduce the risk of getting those nicks and cuts to almost zero and don’t require the frequent blade changes. 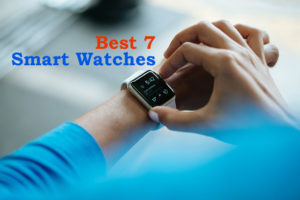 If you have not already used one, you can choose the best electric shaver from the 7 top shavers that we are going to review here. 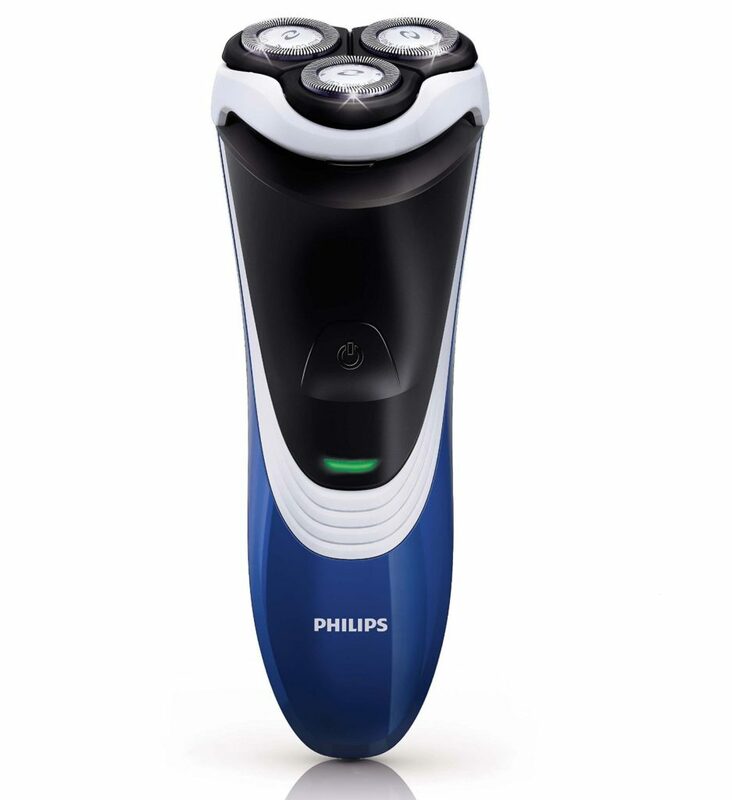 The Philips Norelco Electric shaver 2100 is a rotary electric shave that is quite easy to use. The close cut heads gives you closer shaves while the flex and float system helps you to obtain the best position according to the contours of your face. The durable, self-sharpening blades not only give you a close shave but also lasts long. The shaver heads flex in 4 directions to reach every curve on your face and neck. The pop-up trimmer is very useful to trim the sideburns and moustache. It can also be used on the back of your neck for those touch-ups. Upon 8 hours of continuous charging this shaver delivers 35 minutes of cordless operation. 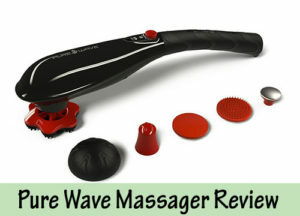 Moreover, this shaver can be used corded whenever you need that continuous supply of power. 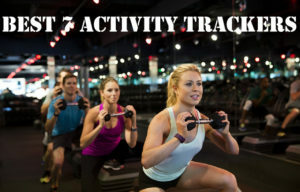 The battery is Lithium Ion type and delivers a consistent charge throughout the year. Thanks to the one-touch open system, you can easily rinse the shaver under running tap water to clean it. The product measures 3.5 x 5 x 9.6 inches and weighs just 13.6 ounces. In the box you get the shaver, one charging cord and one protective cap. This is one of the close-cut shavers you should have in your kit, if you are a fan of a rotary electric shaver. It delivers closer shaves adjusting itself to the curves on your face. The Braun Series 7 790cc-4 is an Electric foil shaver that comes with a “clean and charge” station. Electric foil shavers are better suited for sensitive skin type. It comes equipped with the Intelligent Sonic technology that automatically increases the power in difficult areas and on denser hair for cleaner and closer shaves. 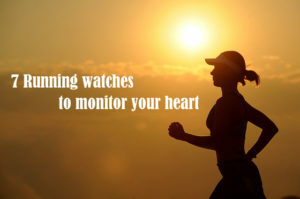 The Intelligent sonic technology delivers 10,000 micro vibrations per minute to achieve this. The ActiveLift trimmer captures the flat-lying hairs in problem areas exposing them to be shaved. The OptiFoil gives you perfect closeness cutting hair as short as 0.05mm and last longer. The triple action cutting system involving twin foils and an integrated trimmer in the middle shaves progressively closer. The Macromotion system gives the shaver head a 40 degree pivotal angle to smoothly navigate along large contours with maximum contact while the individual suspension (Micromotion) of all elements helps deliver a close shave even to the smallest contours. The unique Clean and Charge Station is a 5 action alcohol based system that cleans, charges, lubricates, and dries the shaver at the touch of a button using which you can also choose the cleaning program. One complete charge is good for 14 shaves of 3 minutes each. The alcohol based cleaning fluid is known to remove 99.99% of germs making your shaving kit hygienic and safe to use. 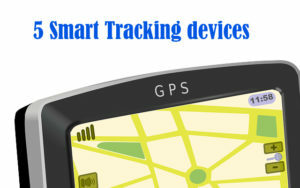 The device measures 10.1 x 6.3 x 6.3 inches and weighs 2.7 pounds. The kit consist of one Shaver, one Cleaning Unit, one Cleaning Cartridge (Alcohol Denatured), one Travel Case, and one Electric Cord. The Braun Series 7 790cc Electric shaver is one of the best you can think of. Synergized foil and blades give you a perfect shave without any nicks and cuts. It is best suited for all beard types. It brings the best from the electric foil shaver class. Go grab one for yourself! The Panasonic ES8103S Arc3 Men’s foil Shaver is a wet/dry electric shaver that features a 3 blade cutting system to deliver a quick, and smooth shave. The stainless-steel foils adapts to facial contours for close and clean shaves. The pivoting shaver head glides smoothly over face, jaw, chin and neck making the shaving experience effortless. The multi-fit arc foil follows the contours of your face to provide complete coverage. The linear motor operating at 13,000 cycles per minute delivers a faster and closer shave while ensures peak performance throughout the battery life. This electric shaver can be used for dry or wet shaving making it usable in the shower too. Thanks to its water resistant nature, it is 100% washable, and features sonic vibration cleaning mode. There is a LCD panel that shows a 10-stage meter battery status and charge indicator as well as cleaning reminder to keep the blades clean. The built in pop-up trimmer can be used to trim moustaches and sideburns. The device measures 10.2 x 4 x 5 inches and weighs 6 pounds. The kit includes Panasonic ES8103S Arc 3 Wet/Dry Shaver, one AC adaptor and a Travel pouch. Another wonderful foil shaver from the Panasonic stable that you would love to use. 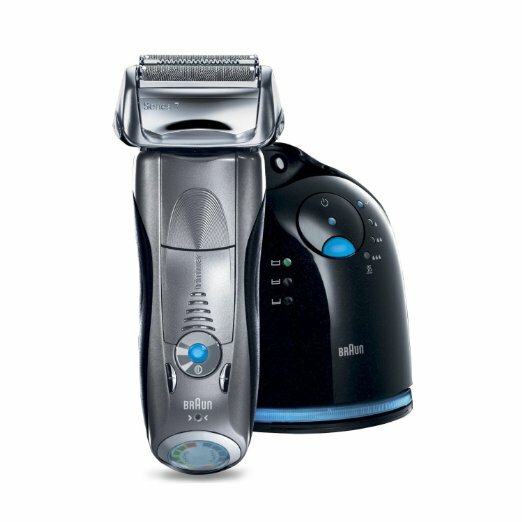 The Braun 3 Series 340S-4 wet and dry shaver is a foil electric shaver. This shaver uses advanced technology to give you a clean and close shave even on a 3 day long beard while remaining extremely gentle on the skin. The SensoFoil Technology optimizes the foil to cut the hair efficiently while the Triple Action Cutting system houses 3 special cutting elements to provide superior cutting. This shaver comes in a fully-sealed body making it 100% waterproof (IPX7 certified) and can be used with shaving gels and foams even in the shower. You can comfortably rinse it in running tap water. The shaver is powered by a NiMH battery and the LED shows the charging and battery level indicator. The battery gets fully charged in 1 hour to deliver 45 minutes of shaving time. A 5 minutes quick charge is good enough for one shave. 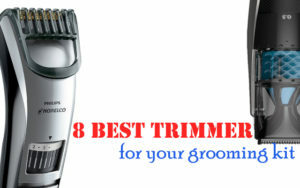 The precision trimmer is also included for accurately trimming the moustache and sideburns. The box consists of the Braun 3 series 340S-4 shaver, a protective cap, a charging stand, a cleaning brush and a charger. The device measures 6.3” x 2.6” x 1.7” and weighs 6 pounds. 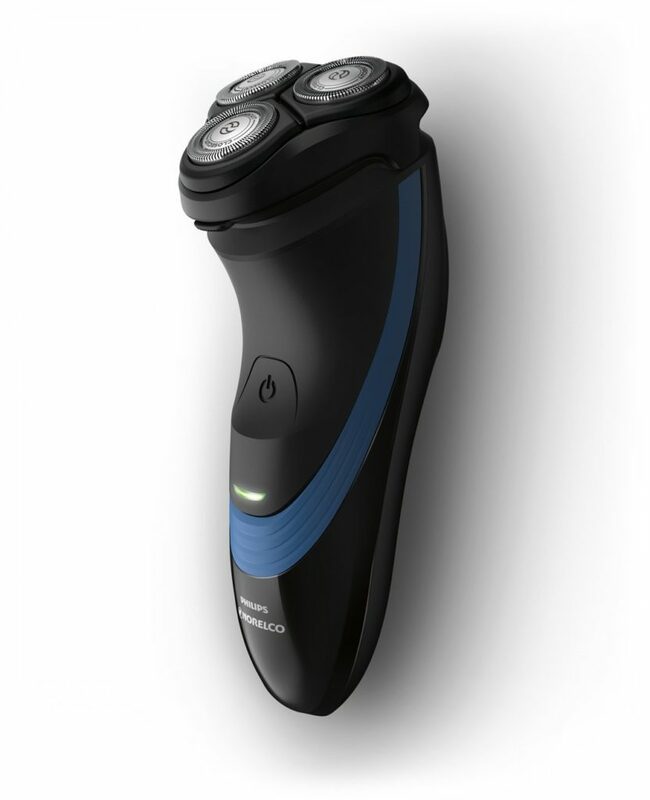 The Philips Norelco PT724/46 Shaver 3100, earlier known as Power-touch is a rotary electric shaver that gives you a comfortable shave without causing any skin irritation. The flexing heads automatically adjusts to every curve of your face for a smooth shave. The ComfortCut heads have rounded edges that give a gliding effect for more comfort. The shaver smoothly glides on your skin to give a close-yet comfortable shave. The shaver sports a fully washable design for easy cleaning. The shaving head can be popped up and thoroughly rinsed. The integrated LED shows Charging, Battery Low, Battery Full, and Quick charge Indicator. The 3-Minute quick charge powers the shaver for 1 cordless shave. The Lithium ion battery fully charges in eight hours to deliver up to 14 days (or 40 minutes) of shaving. The pop-up trimmer can be used to trim sideburns and moustache and for touch-ups on the back of your neck. The box consists of one Philips Norelco Shaver 3100 electric razor, a power cord, a protective cap, cleaning brush, and manual. The product measure 2.2 x 2.2 x 5.8 inches and weighs 0.6 pounds (9.6 ounces). The Braun Series 3 3040 shaver is a foil shaver for men that can be used in wet and dry conditions. It features the MicroComb technology that is proven to be effective even against 3 day long beards. Essentially this is achieved by placing an independently moving middle trimmer between two rows of fine, evenly spaced grooves. This arrangement catches and feeds more hair with each and every stroke, giving you a faster shave. Triple action cutting system that involves three independently floating elements adapt to facial curves to cut both short and long hairs with every stroke. The SensoFoil technology gives you an efficient and close shave by enabling the cutting of hair more easily. This shaver is powered by a rechargeable NiMH battery that requires one hour to get fully charged while returning 45 minutes of shaving activity, Apart from this, the Braun Series 3 3040 shaver also can be quickly charged in five minutes to deliver one complete shave. The LED display would let you know when the shaver is short of battery charge. The Braun Series 3 shavers are IPX7 certified. It can be submerged in 5 meter deep water without any problem. 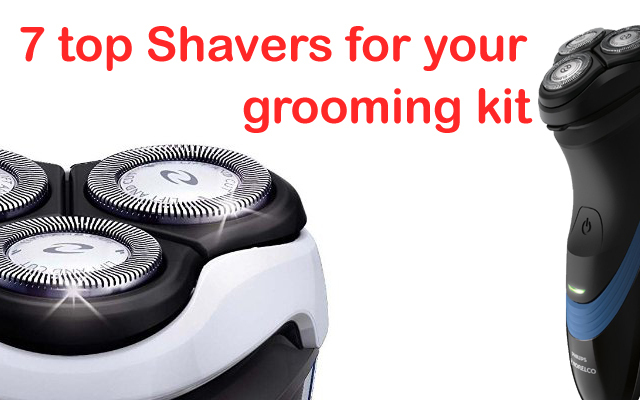 This also ensure that you can clean this shaver easily by rinsing it without the fear of any damage. This ergonomically designed shaver measures 6.1 x 2.2 x 8.7 inches and weighs just 13.6 ounces. In the box you get the shaver, cleaning brush, protection cap, charging cable and a clean and charge station. Something you will have to know is that this shaver does not work when connected to the power cord – It works only in the cordless mode! The quick charge feature makes up for this limitation though. 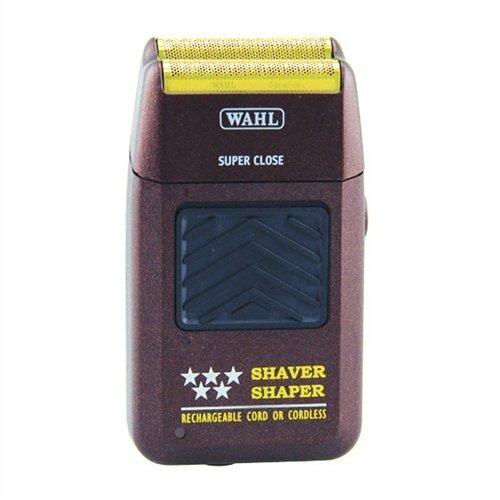 The Wahl Professional 8061 5 star series shaver is a rechargeable foil shaver. The foil has a hypoallergenic coating to prevent any damage even to the most sensitive skin. This shaver supports both corded and cordless operation. 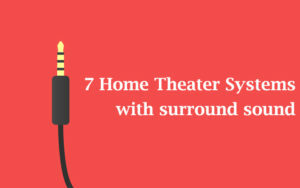 It looks more like a vintage product that has been built with the latest technology. The brown plastic case comes with a large black on/off button. This rechargeable shaver measures 2.5 x 1.2 x 5 inches and weighs 8 ounces. The Wahl Professional 8061 5 star shaver can give you around 90 minutes of operation in one charge. This Wahl Professional 8061 is ideal to shave beard, head and neck. The box comes with the foil and cutter bar assembly, charger, guard and user manual. 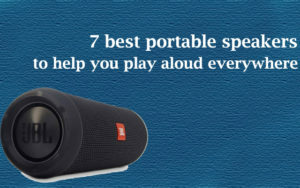 Its smaller length makes it a good travel companion. 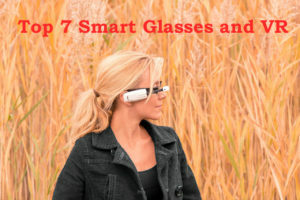 It can easily fit into your suitcases or backpack pouches.